I’m a bit of a birder – not quite a “Big Year” type, but I have the Peterson Field Guide to Birds app on my phone and I try to keep my life list up. Binoculars are always on the ready by my back door. My mother bequeathed me with this passion and we love to bird watch together. 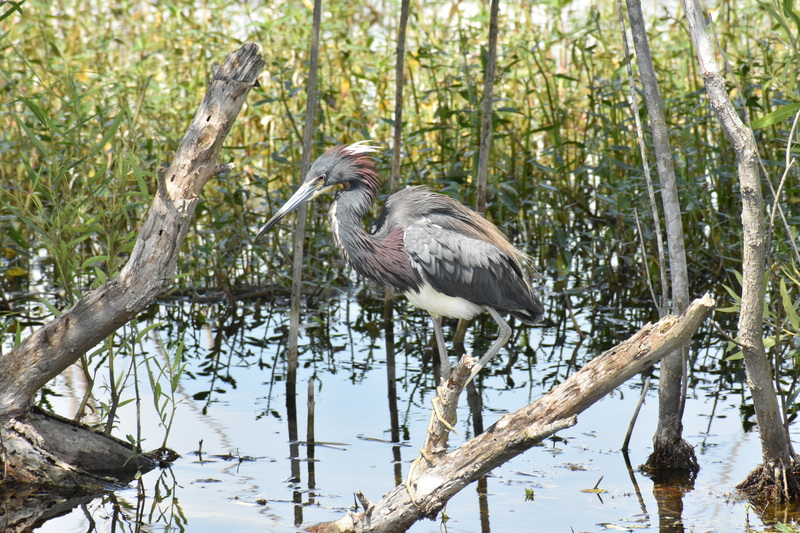 Twenty minutes from our home is the Lake Apopka Wildlife Drive. It usually takes us three hours to do the 11-mile drive at a maximum of 10 mph. We stop a lot. You just can’t help yourself. There’s so much to see. 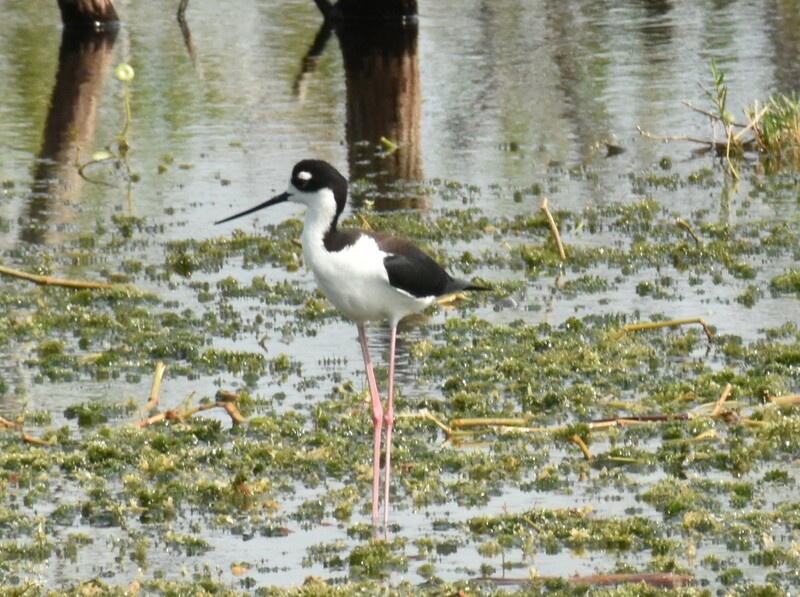 The drive is part of the successful effort to restore beautiful Lake Apopka, which is northwest of Orlando, and home to 369 species of birds, though some are quite literally snow birds. It’s a big winter migration area. Today, the wildlife drive really lived up to its name. Mom and I spent the morning there, and we agreed it was the best day we’ve ever had on the drive. 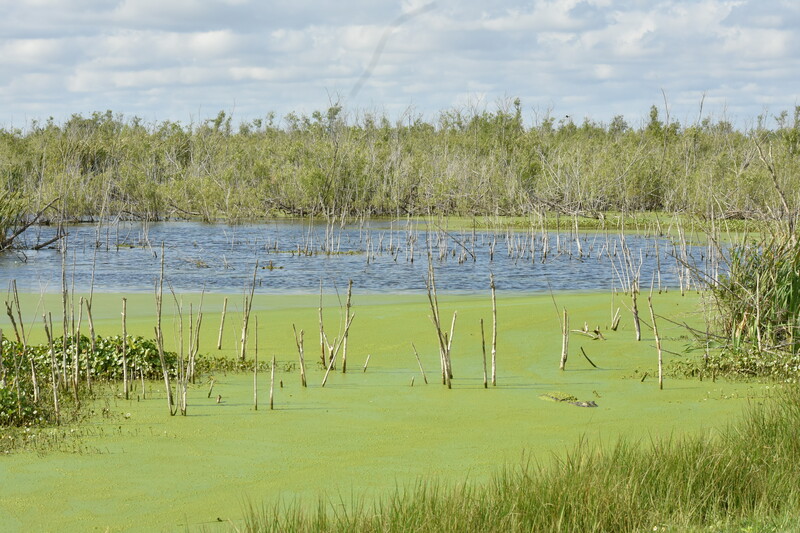 We identified 24 different species of birds, witnessed an alligator turtle laying eggs, and observed more American alligators than you can shake a stick at. Note: Don’t shake sticks at alligators or feed them. It’s against the law. These beautiful flowers grow in the water. You can tell it’s springtime. 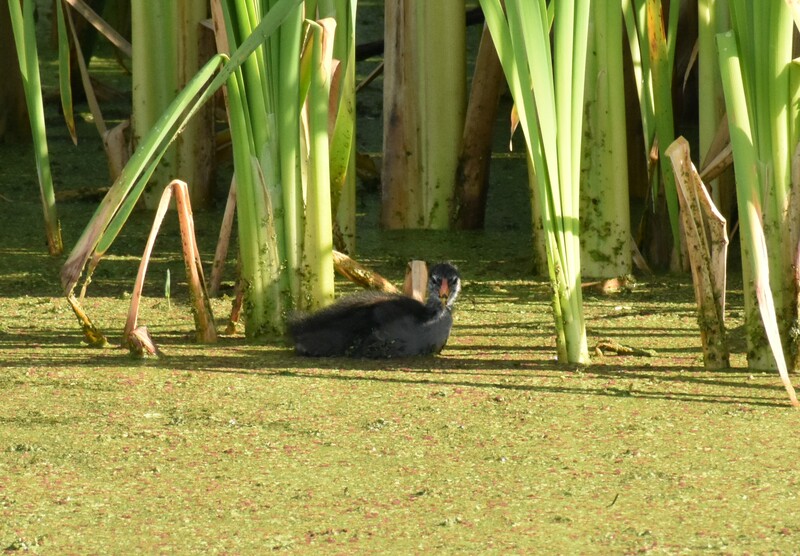 There were baby gallinules everywhere. Here’s a family portrait. I always find a gator in this particular spot. Today as we pulled up there was a woman taking pictures of the babies. Do you see them? There were five altogether but only four are in this pic. At first we didn’t even notice that mama had her eye on us. 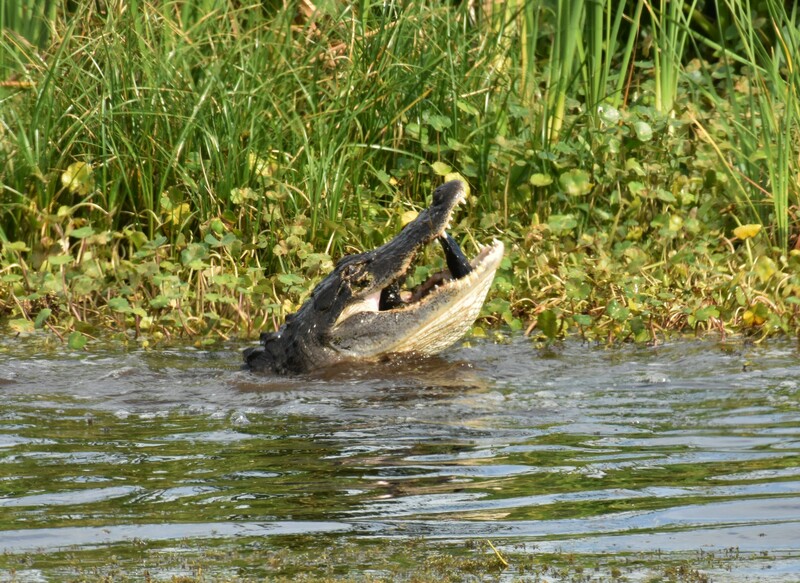 We had never been to the drive during alligator mating season. It began a couple of weeks ago. Their gestation period is 65 days, so I guess this mama got an early start. Since we’re talking about alligators here, it brings more meaning to the fact that they are fiercely protective of their babies. When we saw the babies, we knew she must be close by so we were happy to spot her from a safe distance. You know how you can be out in the wild and hear something and turn to discover you’ve just missed a spectacular moment? Well, we saw the spectacular moment. We were standing along the shore when this alligator leaped out of the water and caught a bird. I think he leaped from below and snatched it on his way up. We saw most of his white underbelly. It was quite violent and really cool. I snapped this picture right after the jump. You can see the poor bird in his jaws. 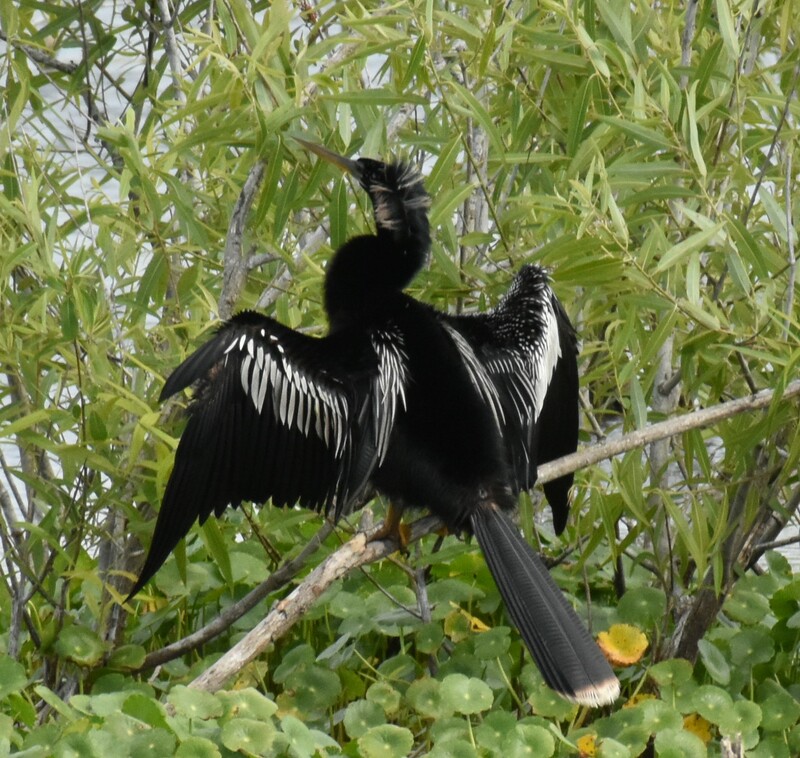 Anhingas swim through the water with their head and neck poking out of the water. They look like a snake, hence the nickname Snake Bird. They’re also called water turkeys. They’re beautiful in flight. The green is so vivid that you almost don’t notice what’s lurking just under the surface. 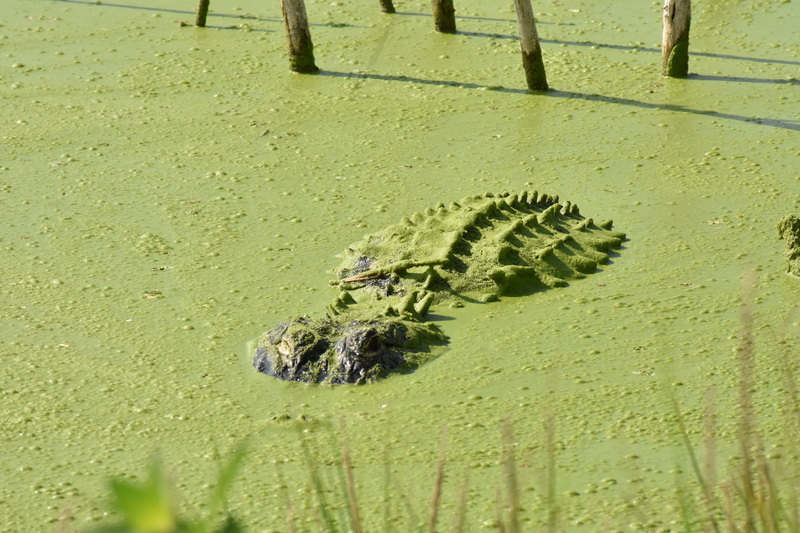 Is the north side of the gator where the moss always grows? 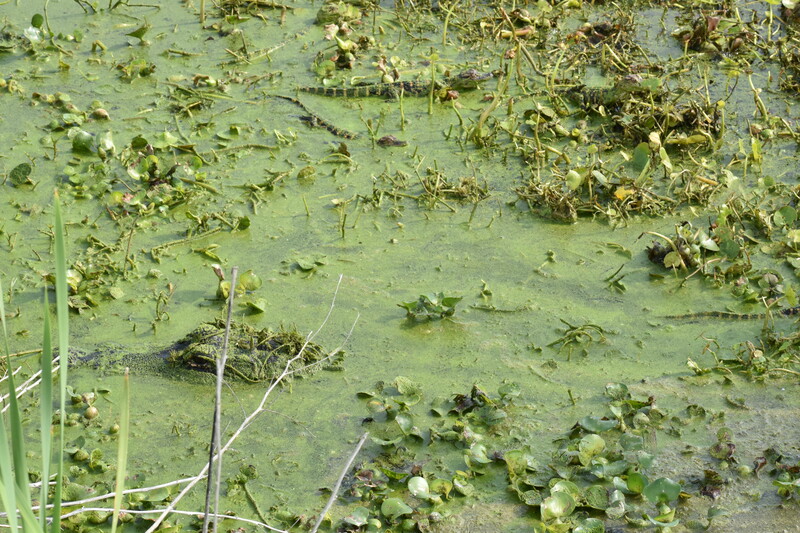 Here’s a close-up of our camo-gator. We heard a lot of gators bellowing. At first I thought it was a bullfrog, then I remembered it was mating season. We were on alert because these big guys can be submerged right in front of you and you not know it. On the drive, food is aplenty, and I’ve never seen anyone harass or feed a gator, which I have witnessed in other areas of Florida. Don’t feed the gators! It is a felony and makes them lose their fear of people and start to look at them as a food source. It’s funny to think they fear us. If a gator offered me food, I’m pretty sure I’d think it was up to something and fear it more! 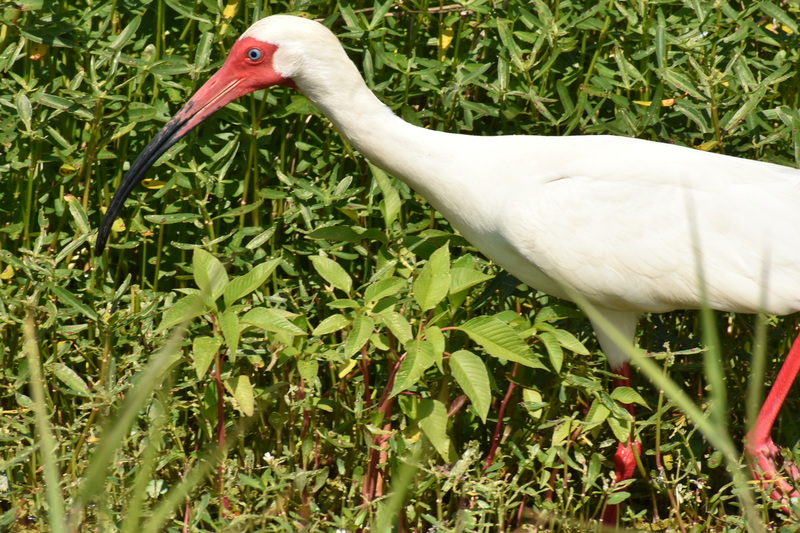 Pretty sure this is a White Ibis. The bill being dark on the end makes me doubt a little. 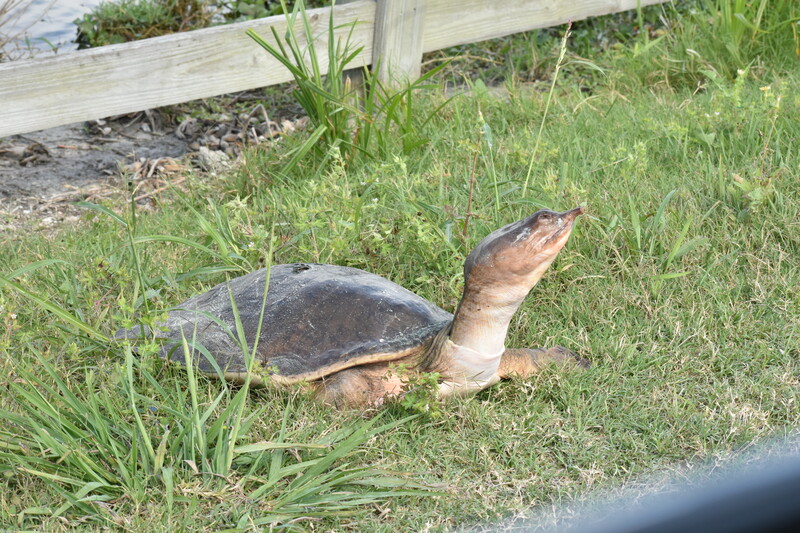 Alligator Turtle laying eggs by the side of the road. I think she’s pretty ugly and maybe not too smart. People were right next to her. But I guess when it’s time, it’s just time. 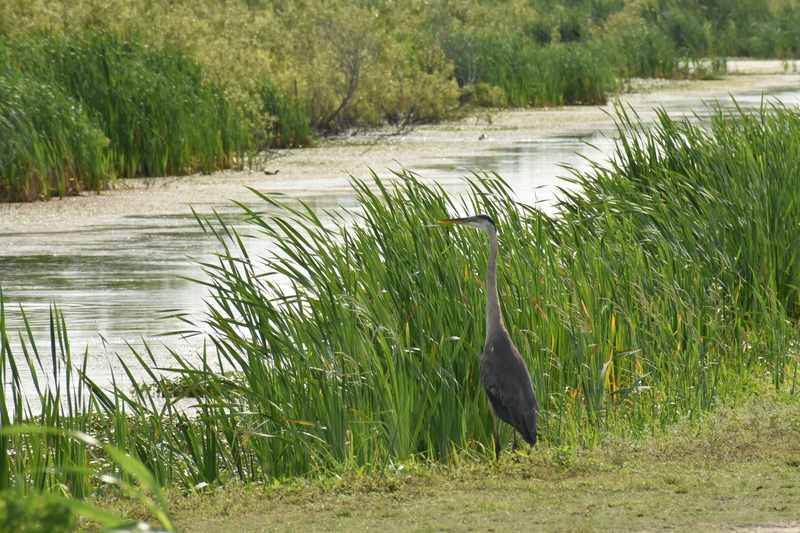 Another Great Blue Heron. He just took a bath and was cute and fluffy. I hope you enjoyed going on the drive with me. Any birders out there? I’d love to hear from you. This is Post #14 of the Ultimate Blog Challenge to post every day in April. I have a love/hate relationship with things that hop. I like rabbits and bunnies, but the Easter Bunny at the mall is a little freaky. I think kangaroos are fascinating, though I never have encountered one in the wild; and I think I would be mildly terrified if I did. I like a good sock hop, even though my dancing skills are rusty. What I don’t like are frogs and toads. They give me the creeps. I never know where they are going to hop, and it always seems like they like to torture me and come my way. Yes, I think it’s personal. So you can understand why I was attentive to a recent news story about killer toads. April showers may bring May flowers, but this year they are bringing killer toads to parts of Florida. We always welcome a lot of visitors during Spring Break, but these guys are definitely not helping our economy and their plan is to linger way past April. It’s quite serious actually. They start out tiny, but they can grow to be a half pound. That’s a lot of toad. They were introduced to Florida to control insects in the sugarcane fields years ago, hence the name cane toad. Well, that didn’t work out too well as they are very poisonous. They can shut down the nervous system of a pet. The venom shoots from the back of their neck, so people need to be aware. The major outbreak is in the Palm Beach area where swarms of them are invading neighborhoods, but these toads are found all over Florida. This is not the first amphibian that I have addressed on my blog. This post from six years ago covers many of our invasive species. So please, don’t pet the toads, frogs, or alligators (yes, I know this is a reptile but they do hang out in the same areas). You learn a lot of respect for nature down here. This is Post #5 of the Ultimate Blog Challenge to post every day in April. Sunday was a beautiful day – the perfect day for my husband to take a well-deserved rest by the pool. (We live in Florida.) I was happy watching him soak up the sun while reading a book. Well, I was happy until he came in. Let me recount our conversation for you. Just so you know, today I did go to the dermatologist and it was a very good day for this pasty-white girl. 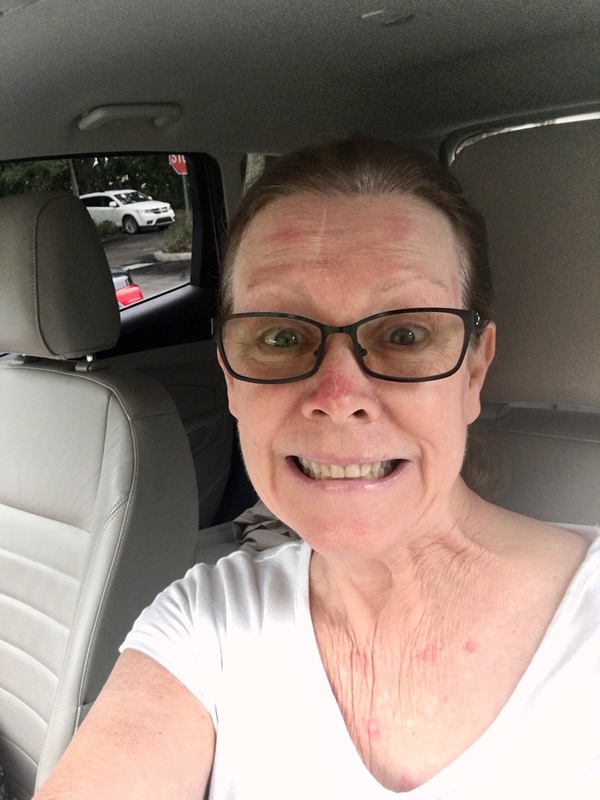 A good day means 21 freezes of pre-skin-cancer areas and 1 small biopsy. Boom! This is what I looked like afterwards. Warning, no make-up. Now you, Bob, and my dermatologist are the only ones who get to see me like this. Feel privileged and always use a good sunscreen of 50 SPF or above. If they had that when I was a kid maybe I wouldn’t come out of the dermatologist’s office every six months looking like I was attacked by a swarm of bees. This is Post #3 of the April Ultimate Blog Challenge. Friday was my mother’s 91st birthday. My younger sister, Linda, and I took her to her favorite place – the beach. Through no fault of her own, Mom’s birthday falls during spring break and bike week. 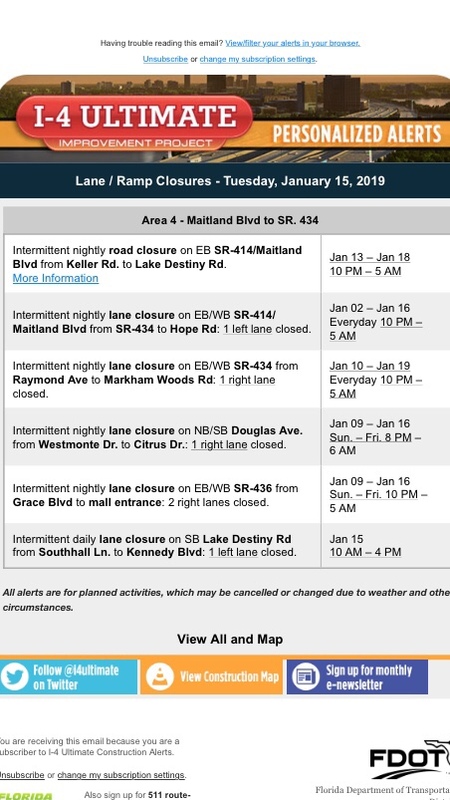 If you live in Florida, you avoid the beach like the Walmart on Black Friday, especially Daytona Beach, during this overlap of motorcycles, college students, and vacationing families. It’s just plain crazy, loud, and crowded. In keeping with the quiet celebration theme, we headed down back roads past the southern tip of New Smyrna Beach. Pastureland with signs pointing to pigs or fresh eggs for sale dotted the scenery. The roads were nearly deserted making for a relaxing drive. My favorite sighting of the day was Phil. 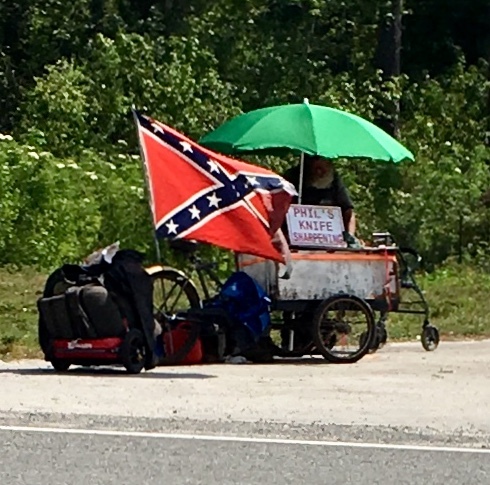 Phil the Knife Sharpening Guy was positioned at a prime intersection to attract bikers, spring-breakers, or anyone else who may need to sharpen their weapons and knives before arriving at the beach. 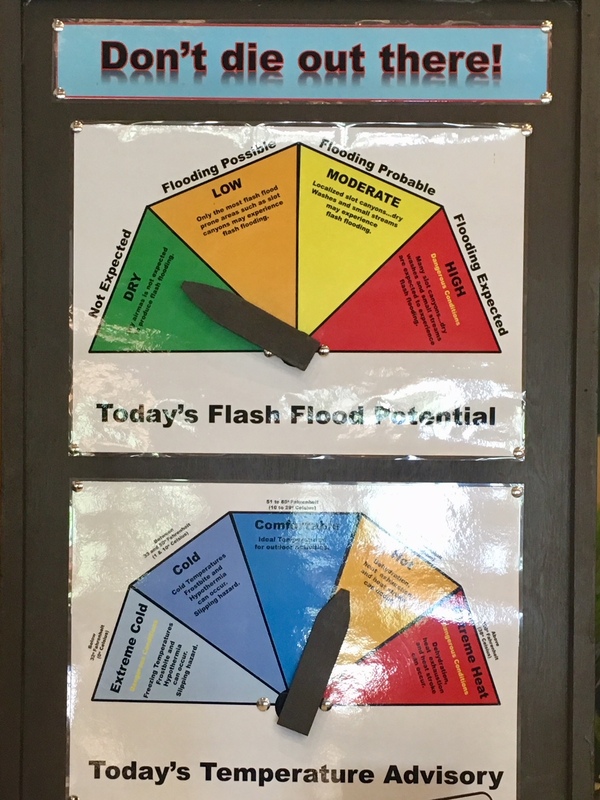 It was a little disconcerting, but I’m going with the thought that fishermen need sharp knives. I should note that Phil did not pose for this picture and I did not ask his permission. He was on a corner of Hwy 44 and I was able to snap this from the opposite side of the road at a traffic light. I did google him though, and was surprised at his celebrity. Therefore, I don’t think he’d mind the publicity. He is known all over Florida and beyond for peddling his bike and trailer and sharpening knives of all kinds. He especially likes Bike Week. With my writer’s mind at ease from picturing all kinds of daunting circumstances, I marvel at Phil’s ingenuity and work ethic, not to mention his ability to pull that rig of his, which he has been doing for about 30 years. I should have stopped and talked to him, but honestly he looked a little scary from a distance, plus I left all my knives at home. 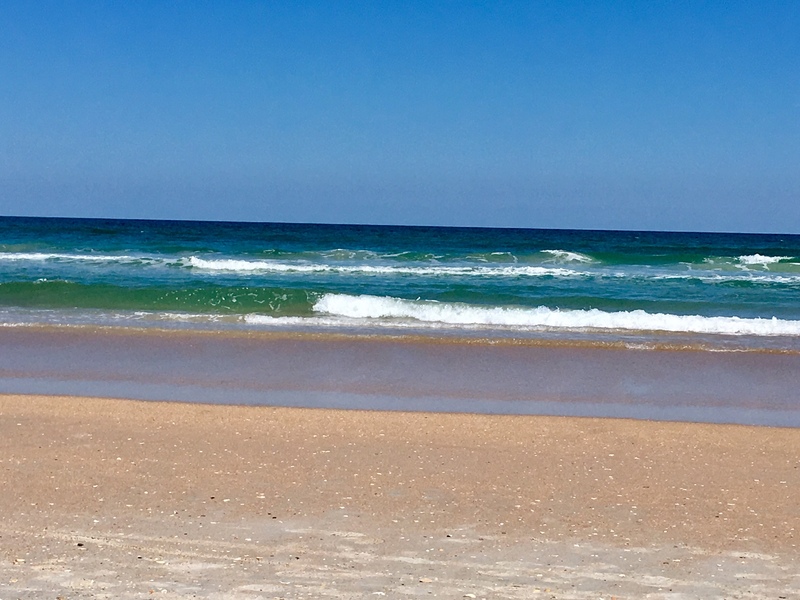 But let me take you back to the beach – Bethune Beach, which is just south of NSB. It has a paved walking area which gives a great view of the sand and surf – just what Mom was hoping for. We took a stroll and then set up our chairs. It was a perfect day – mid-80s, sunny and a light breeze. Mom encouraged Linda and me to go for a walk on the beach. You don’t say no to your mom on her birthday. Toes in the sand and the sun on a heavily sun-screened face is revitalizing. We were strolling along, enjoying being together and picking up the occasional seashell when it happened. A piercing, burning sensation in my foot. It was like one of Phil’s perfectly sharpened knives stuck me right in my toe. We weren’t even in the water! I lifted my foot and there underneath it was a bee. A stupid honeybee. (No offense to the smart ones.) What in the world was he doing all alone on the sand? The entire thing was upsetting. It doesn’t even make for a good story. It could at least have been a sand shark (I assume they are named for lying low in the sand before pouncing). Even a jelly fish would have been more exciting. I hobbled over to nearby stairs and examined my poor throbbing little toe. There was a stinger hanging out of it with bee innards dangling from that. Gross and ouch! Thankfully, I always have my tweezer-like fingernails on-hand (literally) so it was easily removed and the gross part scraped off with a seashell. We headed back to Mom walking in the 65-degree ocean water to dull the pain. It had been a while since I’d had a bee sting. I hurt quite a lot. My sister told me that if I put wet tobacco on it that would dull the pain. She has never smoked, but she lives in Georgia and once when she had a bee sting someone had dosed her sting site with it and lo and behold it worked. So, we started looking for smokers – kind and generous ones who would help a fellow human in need. Alas there were no smokers to be found, but Linda did come up with a discarded, half-smoked cigarette. Yes, it’s gross, but it was also an act of love to pick it up. We rinsed my foot and applied the damp tobacco. Funny, but damp tobacco or just about anything else short of chewed gum will not stick to the bottom of your foot. Gravity wins every time so I may never know the true medicinal properties of someone’s discarded cigarette. When we got home from the beach, I decided to play Bob’s favorite game with him – the guess what game. I know that no matter how much he rolls his eyes, he loves it. So, I made him guess what stung me at the beach. He guessed bee right away. And he didn’t think this counted as an operation either. Not even applying old, wet tobacco can take away the sting of that. Once again, I am providing a view of the other side of Central Florida. It’s not all the happiest place on earth down here. I’m not talking about Costco, one of my happy places on earth. I’ve never felt the danger of being attacked by an angry otter at Costco. 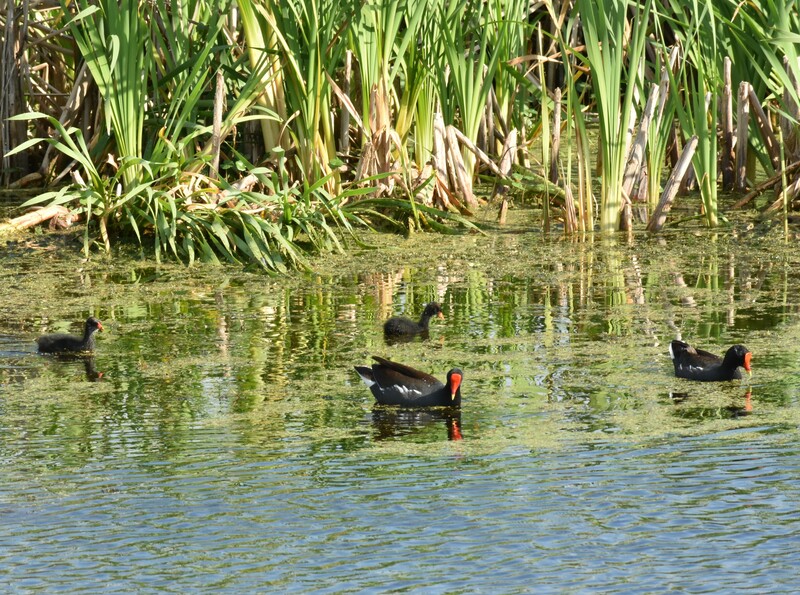 I can’t say as much about Lake Lily in nearby Maitland. It has been nearly a year since an ornery otter has made the headlines here. It was in March of last year that an aggressive otter jumped into a kayak in Manatee County and leaped onto its unsuspecting paddlers resulting in an overturned kayak and one terrifying and terrific story for the pair trying to take a leisurely trip down the river. He went on to attack other boaters and injure four people. I don’t know how that story was resolved regarding the capture of the wanted otter, but now I fear that he may have made his way to our fair community, though that would be unlikely because the most direct route from Manatee County, which is south of the Tampa/St. Pete area, to the Orlando area is via I-4. I-4 is deadlier than an angry otter and you would be smart to avoid it while in our area. An otter, angry or otherwise, can weigh between 10 and 33 pounds. You’d fare better with it then you would with an 18-wheeler trying to figure out where the lanes have shifted on I-4. The truck could weigh up to 40 tons. I think if given the choice, I’ll take my chances with the otter. Seriously, though, whether on the interstate or near our beautiful lakes, I’m cautious. 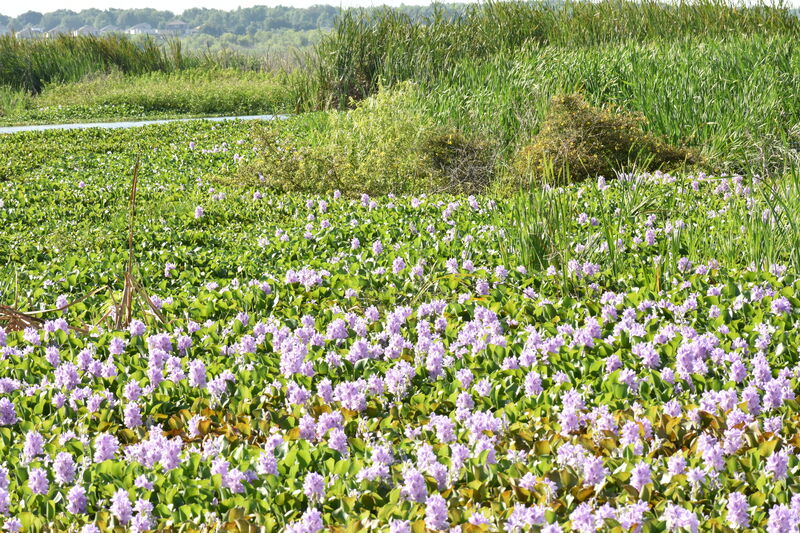 Lovely Lake Lily in the nearby town of Maitland is a favorite place for locals to take a stroll. I myself have walked there. I might have considered doing it again, that is until otters began stalking innocent walkers. 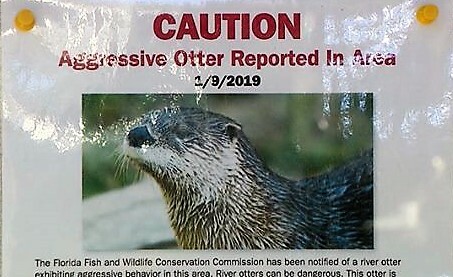 At this point, they are only concerned about one otter. They are working on a Single-Otter Theory. I think this is their way of avoiding conspiracies of groups of otters banding together with a common cause of destroying our state or making a statement about our inconsistencies in counting votes down here in Florida. All this begs a question. These are river otters and Lake Lily is, well, a lake. I think that the otters are confused, like the vote counters in Broward County last year. Perhaps they thought their votes were not counted in the last election. Another question: Are the sightings and incidents involving the dangerous otter at Lake Lily really the work of a renegade weasel (otters are in the weasel family) or maybe even the Russians? For now, we will have to hope that it was a Lone Otter. The latest word is the Otter Wanted-Posters have been successful. The squirrelly otter is off the streets, lakes, rivers, and swamps. I guess I’ll have to come up with a better reason to avoid taking a walk. 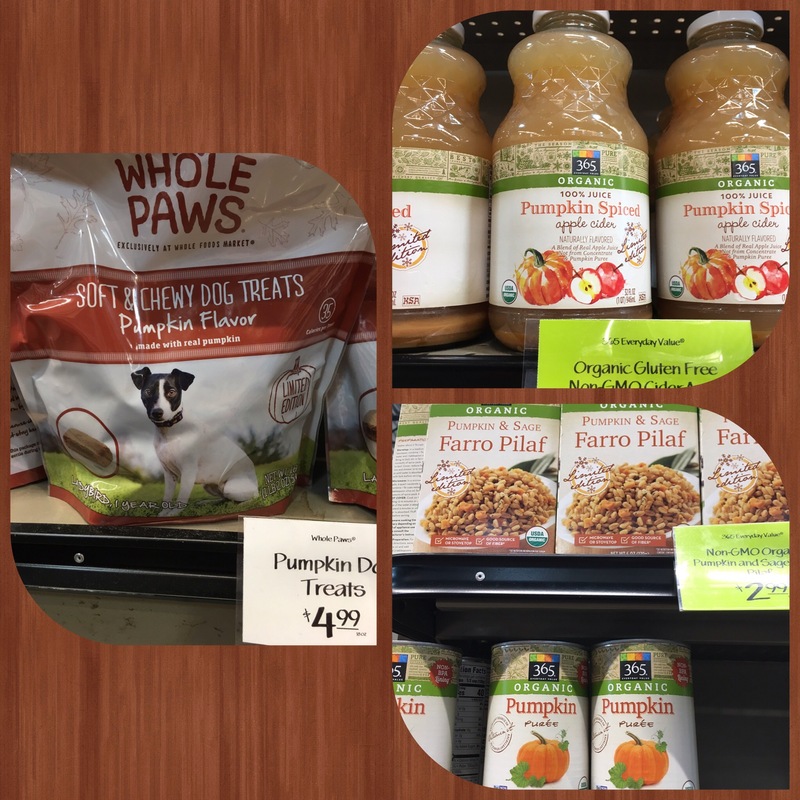 I took a five-minute walk through Whole Foods and was quickly reminded that it’s that time of year again – Fall in Florida. You might think I would wait outside on a lovely fall day, but it was 93 degrees outside. September was going out with a sizzle. 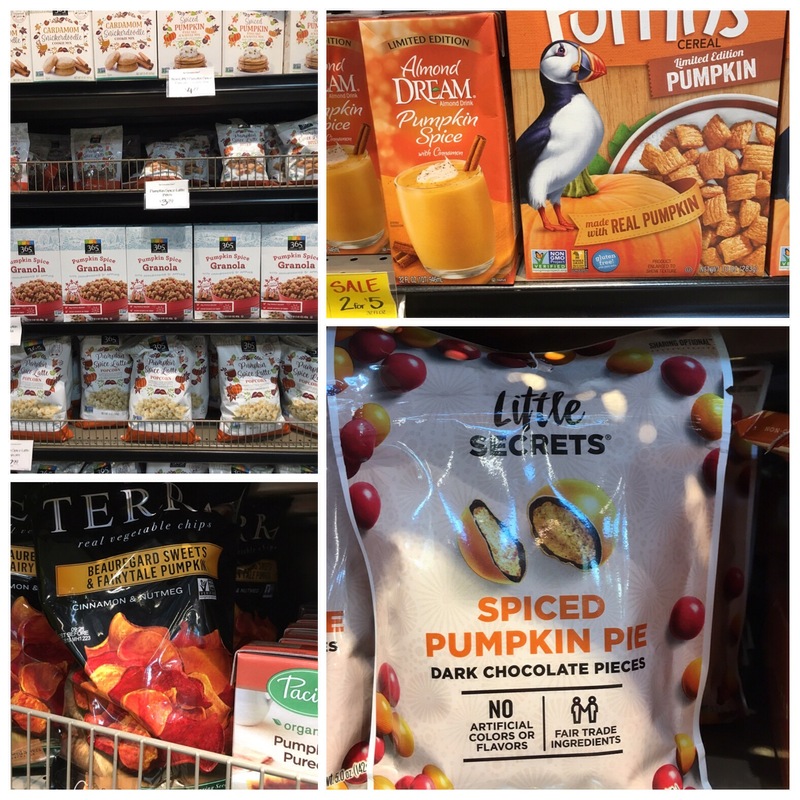 Summer down here lasts easily until after Halloween, so if it weren’t for the plethora of pumpkin product placements, it may have slipped my notice that the season had changed. A few short years ago, I came to realize that not everyone is pleased as punch over pumpkins. I have a friend who is not just overwhelmed, but annoyed at the things that those poor pumpkins are going through when all they really want to be is pie. Granted, she is in the minority, but she has a voice and she demands to be heard. And isn’t that what we’re all about in today’s world? I thought about her as I wandered through the store; even I was overwhelmed by pumpkin. Every time I turned around, I was face-to- face with another pumpkin product. I love pumpkin, but at that point, I began to question everything about fall. What about leaves? Isn’t fall foliage what it’s all about? And apples. Shouldn’t we be buying freshly pressed apple cider? Shouldn’t I be putting raked leaf essence in my coffee instead of pumpkin spice? Have I joined the ranks of pumpkin people without a second thought? When I returned home I lit my pumpkin spice candle and thought deeply about this. I decided I might as well get my fall decorations out as I was thinking. They included 5 pumpkin spiced candles, a room spray, and various assorted pumpkin and leaf decorations. It made me cry real tears when I realized that I hadn’t known when to stop. I hadn’t taken into account people like my friend who suffer from PSOD (pumpkin spice overload disorder). Plus, I also had ignored my own eye-irritant disorder, which is triggered by strong candle fragrances such as the ones I unleashed in my own house. Yes, the tears were real. I’ll have to go on Amazon and see if they have any pumpkin spice lubricant eye drops. I’ll bet they’re out there! Must “That” Show Go On? Cirque du Soleil – Crystal, according to its own billing, is a breakthrough ice experience. That’s right. They billed an ice-skating show as breakthrough. Bob and I enjoyed it as part of our 43rd anniversary celebration last week. Well, we enjoyed most of it. There was a little show in the audience that was a bit much for us. I was ready for somebody to fall through the ice. But I’ll get to that in a minute after I deliver some fascinating facts for your entertainment and education. This is a traveling show, unlike La Nouba, which in December ended its long run in Disney Springs. As a side note, if you haven’t been to Orlando in the last couple of years, you may be asking yourself – What is Disney Springs? Quite honestly, I live here and I often ask myself that same question. Disney Springs is the shopping/entertainment complex formerly known as Downtown Disney, which was formerly known as Disney Village Marketplace, which was formerly known as Walt Disney World Village, which was originally known as Lake Buena Vista Shopping Village. I still tend to call the area Lake Buena Vista, much to the confusion of anyone under 30. Anyway, family-friendly Crystal was performed at the Amway Center in Downtown Orlando, so we didn’t have to try to remember what to call Downtown Disney, I mean Disney Springs. For those of you who have seen La Nouba, Crystal is similar, but not as much of a sensory overload of amazement as the permanent La Nouba (which of course wasn’t so permanent since it closed). I guess that makes sense, but Crystal does deliver. It is more like Ice Capades meets Cirque du Soleil meets Alice in Wonderland. But the show has moved on and so must I, but not before telling you about the couple who was sitting directly in front of Bob and me. Now when I say directly in front, I mean really close. The seats in the Amway Center allow you to reach out and touch the person in front of you without even having to lean forward. Bob and I arrived first so we witnessed their arrival. From all appearances they were free-spirited hippies, probably around fifty years old. Long hair for the pair of them, though his was a tad bit longer. We know this because they flipped their hair – a lot. Enough that I was wondering if we should check our jeans for lice. Not that they appeared to be dirty, but it’s strange to have someone’s hair dance across your knees. But that wasn’t the worst part. The worst part was their inability to keep their hands off of each other, which was displayed by frequent make-out sessions throughout the night. 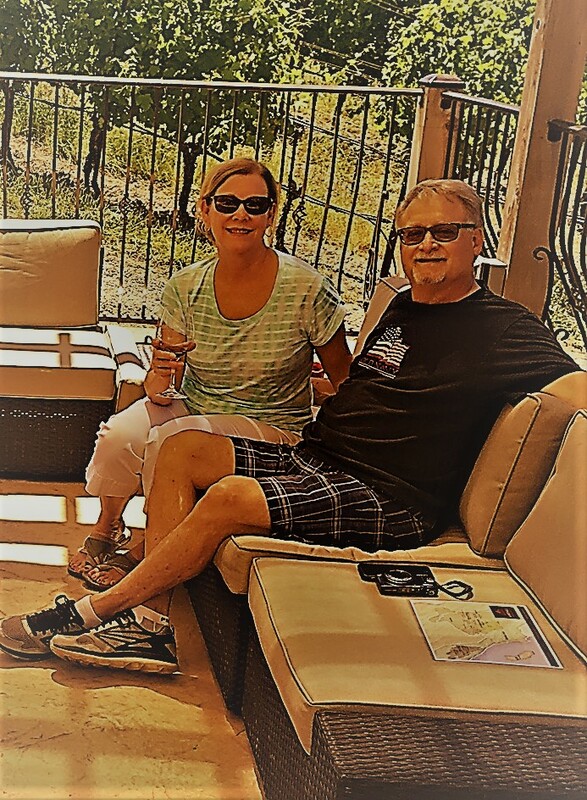 You may think that since we were celebrating our anniversary, we would welcome viewing romance and simply channel that into our own celebration. Well, you’d be wrong. This was not romantic. It was gross. I see nothing wrong with a little kiss between couples, but these two were going at it like the plane was going down. When they weren’t making my stomach turn, they were often talking. So much so that the people in front of them moved. That emboldened me. Me: Do you want to move back a row? Me: Seriously? You haven’t noticed these two going at it? Bob: You mean them tossing their hair to and fro? Me: No! I mean the sloppy make-out session going on an arm’s length away. I could put up with a little hair toing and froing, but this is ridiculous. How could you not notice? Bob: I’m watching the show. Of course he was watching the show. But I opened his eyes to another, more disgusting show, so we moved. From our new seats we looked over their heads of tossing hair, and my evening was no longer hampered by their seriously inappropriate PDAs. The only thing we noticed from them from our new point of view was their finger snapping as opposed to applauding. I felt like I was in a poetry reading. So, there you have it. Another anniversary with my wonderful husband. Another example of how we look at the world differently. Another story to laugh about. Another couple to avoid. I can’t wait to see what next year brings. I missed humidity something terrible while we were away in Utah. My eyes couldn’t even tear up in response to the beauty we were hiking through. I was unable to blow my nose and my skin with its alligator look reminded me of home. I could put up with that because my hair looked great, so who cares that I couldn’t cry and that my nose would bleed when I tried to blow it. That was a small price to pay for soft, silky hair. 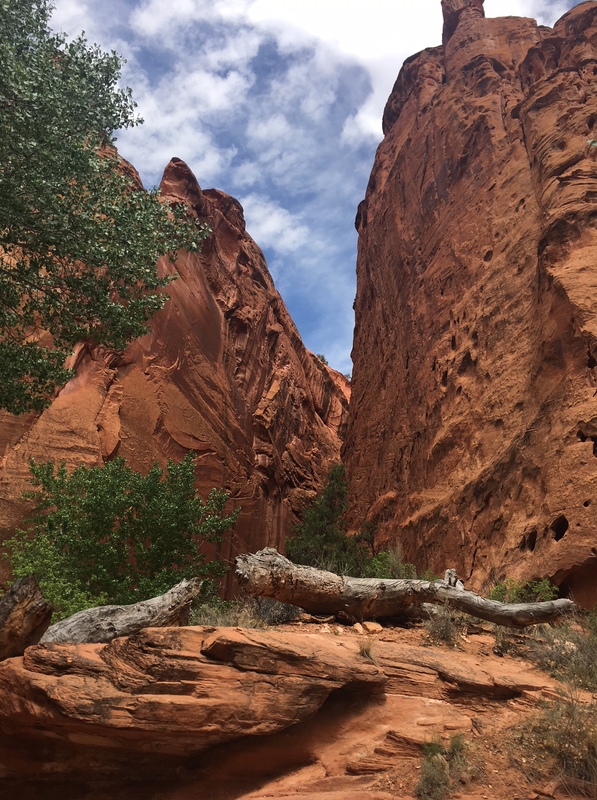 Now that I have traveled extensively in the desert of Utah and Arizona (two weeks), I can tell you from firsthand experience that Florida doesn’t really understand the words “dry heat.” We understand heat from the dryer, but that’s the extent of it. We also know what dry heaves are, but I don’t even want to go there. We don’t see signs like this in Florida. Floridians understand sweat. Furthermore, we are known for it. Yes, we are big sweaters. As a kid, I never learned that you don’t talk to strangers. Talking to people, especially while we’re traveling, is interesting. We met a lot of people in Utah. Nine times out of ten, when someone found out I was from Florida they would say, “Oh, the humidity!! !” It was like they thought we lived under a curse or something. I gave up trying to defend our state. Yes. It’s humid. I work up a sweat on the way to the mailbox, but I can blow my nose. That should count for something! And my skin no longer has that alligator look. My hair – that’s another story. I’m back to frizzy, but at least I have tears again if I want to cry about it.